Places to See ~ People To Meet ~ Business Reviews ~ Foods ~ Fun ~ Events ~ And More! This Is Living In Utah's Uintah Basin, This is Home! I think nearly everyone in the area, or at least in the Roosevelt area, is familiar with Inspirations. I remember when they first opened up in the old JCPenney building on Main Street, before they ended up at their current location on the east side of town near Big O and Sharp Image Salon. Besides the move many years ago, they have had several other changes, including ownership. 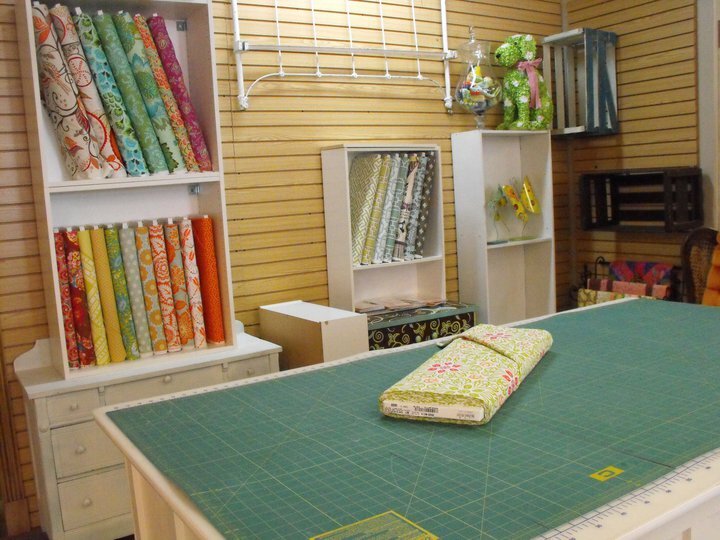 But with all the changes, you could always depend on a store full of beautiful and inspirational products. I visited Inspirations recently, and was in love with the new store layout and how Katherina has set-up some of the displays! First of all, they have a new checkstand area that is amazing! 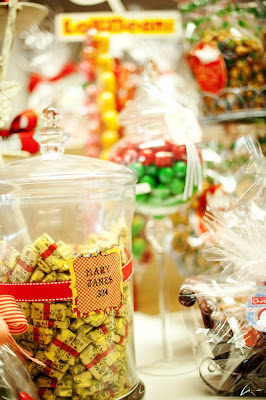 Lined with vintage looking jars full of pretty candies, including Mary Janes, gumballs, candy sticks and so much more! 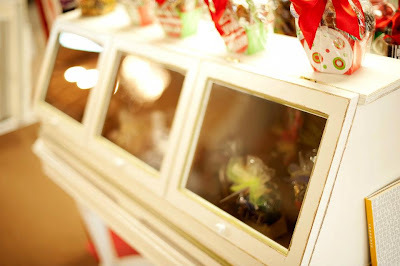 One of my favorite pieces was an antique cabinet filled with ready to go holiday gifts of candies wrapped in boxes, cellophane, ribbons and bows... if you need any last minute neighbor, friend and teacher gifts, these will certainly stand out and be remembered more than the factory assembled food and candy gifts from the big stores...YuMmY! 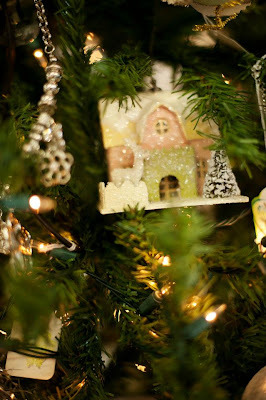 There was a beautiful Christmas tree, that had a vintage winter wonderland feel to it, and just looking at it made me feel like I was in a magical place! They carry a wonderful variety of home decor, scrapbook supplies, including the latest Tim Holtz vintagy items! And I really loved the shabby chic way these are all displayed using antique doors and racks with a shabby chic finish! So whether you stop in for gifts for anyone on your list, stocking stuffers, or go pick up wonderful gifts for yourself with your Christmas money, you will not be disappointed! 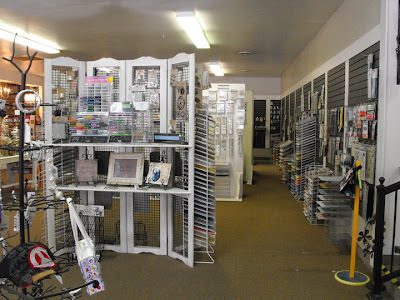 They also offer classes, have author visits for book signings, and will special order books for you to save you time, if they don't have what you are looking for. 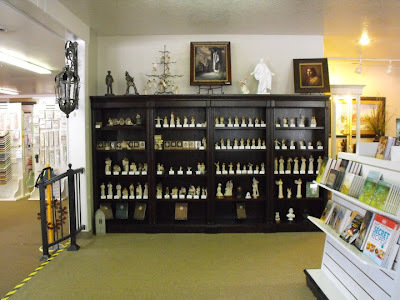 I have only mentioned just a little of what they have to offer, so make sure you go see for yourself...I think you will like it! Katherina is offering one of you a $20 Gift Certificate to use in the store, including classes (excludes distribution items). We want everyone to have plenty of chances to win, so we give you several things you can do to earn additional entries! For EACH of these things, post a new comment, that says which item you have completed (and make sure you have your name included)...for example; I "followed" the Basin Living blog, or I "liked" Inspirations on Facebook. If you want to just make one comment make sure you list each thing please! Entries are now being taken until 6pm Thursday, December 29th. ~ Get 1 entry for adding or already being a friend of Inspirations on Facebook. ~ Get 1 entry for adding or already being a friend of Basin Living on Facebook. ~ Get 1 entry for Following this blog (see Follow on the right sidebar). ~ Get 1 entry for sharing this contest/blog on your Facebook wall. I hope to see everyone with 5 or more entries...good luck! It may not be looking much like Christmas at our home yet, but it's definately beginning to smell like Christmas, with the help of my friend Gina Marie and her Scentsy business! 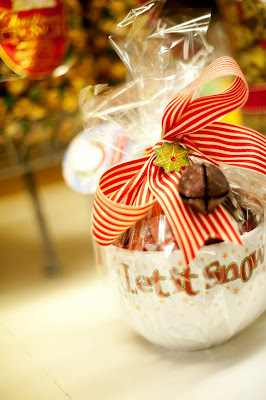 I have some Sentimental Cider Scentsy bar cubes in the warmer and I'm running around singing Jingle Bells to anyone who will listen...okay, so noone wants to listen, but it hasn't stopped me yet. 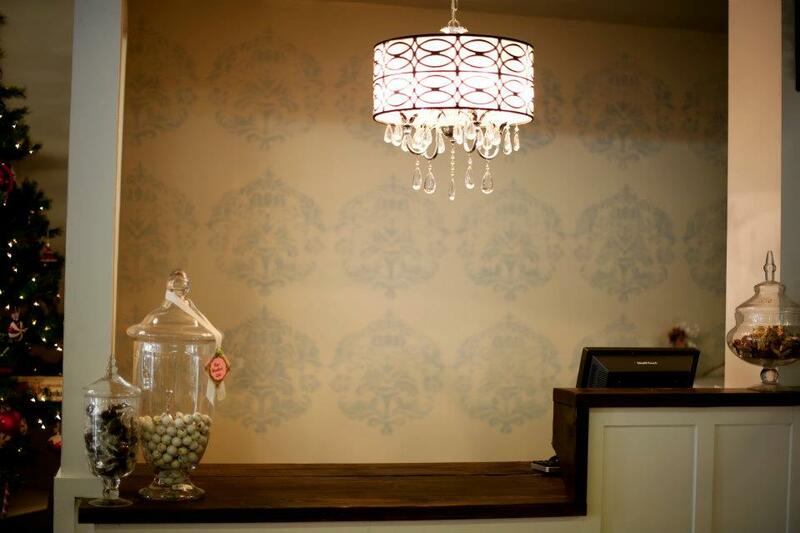 Many of you may know Gina Marie and her team of Scentsy consultants without knowing it, because they really know how to promote their business' and you will find them at nearly every event in the Basin, and hosting many many shows throughout the area as well. Gina Marie has a Holiday Open House coming up next Thursday, December 15th from 11am to 1pm to stop by and purchase gifts for nearly anyone on your list (especially those people that you have no idea what to buy for). I'm not kidding when I say nearly everyone on your list, either... in addition to all of the fabulous decorative warmers and scented products that we have loved for some time now, they also have the Scentsy Buddies for the little (and not-so-little) ones on your list, and their new solid perfumes! There will also be Door Prizes and lots of FuN, and I'm thinking yummy refreshments, too! Every month, Scentsy offers a brand new scent of the month and a new decorative warmer, and during that month you get 10% off of these items! 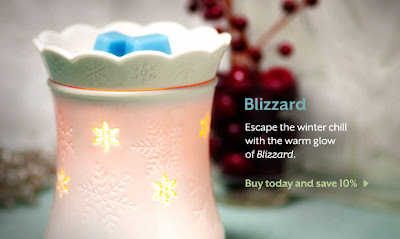 The December warmer of the month is named "Blizzard". With it's glowing base of snowflakes it will be the perfect addition to your winter wonderland of decor no matter what your theme may be! If you aren't able to attend Gina Marie's open house, you can order directly from her website like I have done a few times. It's fast and easy and the products come right to my door! Be sure to order by December 19 to get your gifts in time for Christmas. The Scentsy bars fit perfect in stockings..so I better hang up a stocking for myself this year and hope Santa fills it up with my favorites! Gina Marie is offering up our very first giveaway HoORaY! We want to give everyone ample chances to win of course, so you can get an entry by doing each of the following things, and then post a comment below this post to let us know exactly which you did and where! Easy Peasy! Next Wednesday at 6pm I will make slips for each and all of your entries, and we will have a drawing to see who wins! Sound good? You can win a Scentsy Buddy as a gift for yourself or as a gift for someone on your list! ~ Get 1 entry for joining Gina Marie's mailing list on her website. ~ Get 1 entry for "Following" my Basin Living Blog. ~ Get 1 entry for Liking Ginamarie's Smelly Adventure's Facebook page. ~ Get 1 entry for adding Basin Living as a Friend on Facebook. ~ Get 1 entry for Sharing this contest/post with your friends on Facebook. **Please note that comments are moderated to prevent spam, so they are manually approved. Allow time for them to post because of this - Thanks!